Lately, I’ve been getting a lot of opt-in/opt-out emails from different class action lawsuits. Many people don’t realize what these lawsuits are and how they can participate in them. So, this post aims to shine a light on that subject. 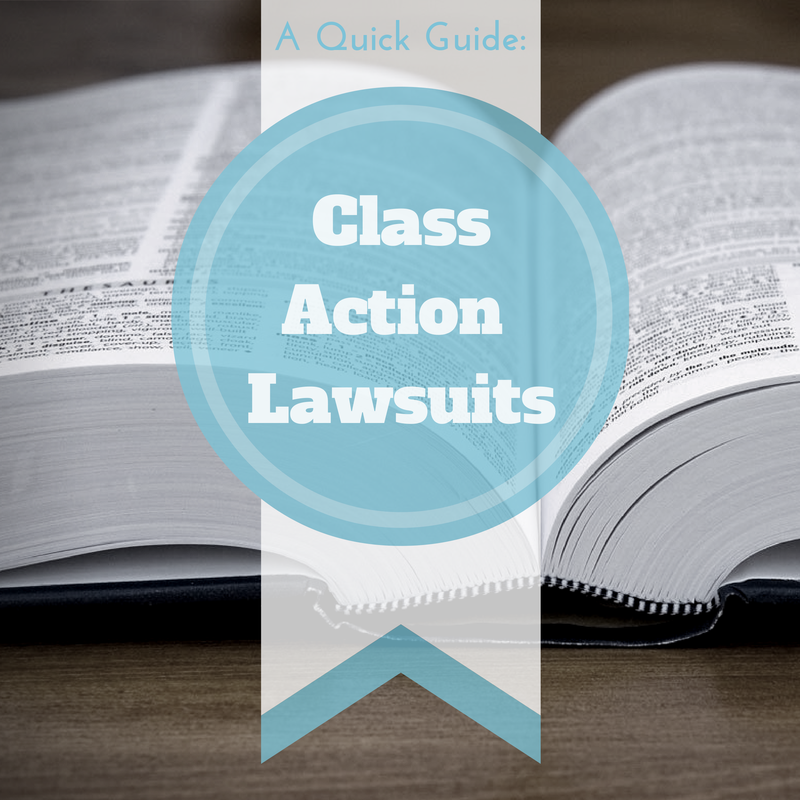 Class action lawsuits in a nutshell: Groups of people who sue large companies for misrepresenting a product or service. Who can participate in them? You have no connection to the lawsuit. Often times it’s pretty easy to participate in a class action lawsuit even if you’ve never used the product or service. However, that doesn’t mean you should. You plan to sue the company for the same thing the lawsuit is suing them for. You cannot participate in a class action suit against Apple regarding a poor battery, if you plan to sue them for the battery issue by yourself later on. You don’t agree with the lawsuit. As I’m sure you know, people sue for some of the stupidest reasons, meaning there are a lot of lawsuits you won’t agree with or want to participate in. Why should I participate in them? By participating in these lawsuits, you earn a cut of the profits that are paid out. This payment can be anywhere from $0.01 to $1,000 or more. It all depends on how many people participate and how much the settlement amounts to. The legality and ethics of participating. Every suit you participate in requires you to agree to a long legal form, which can be intimidating. However, you’re actually agreeing to something pretty simple. It states that you cannot sue the company/person for the same reason later on and you have used/bought the product or service in question. How they would actually find this information out, I don’t know, because you often times don’t need any receipts or proof. That’s where your ethics come into play. *I strongly urge you to only sign-up for lawsuits that you have reason to participate in. If the company in the hot seat has your information, you will likely receive something about the lawsuit in the mail or by email. If they don’t have your information, you will need to find out about the lawsuit on your own. You can check the following websites for information about current and upcoming suits.